Welcome to Prepaid Phone News' regular Sunday feature listing all current prepaid phone deals in one place. The deal of the week is Boost Mobile's BlackBerry-style Motorola XPRT Android QWERTY for $79.99 at boostmobile.com. To get the $79.99 price use bonus code ANDROID20 to take $20 off the regular $99.99 price. Even at the regular price, the XPRT is far and away the best deal anywhere today for a prepaid Android phone. Released on Sprint for $399.99 a year ago, the XPRT includes a number of features not normally found in sub-$100 phones including a 1 Ghz processor, 5 MP autofocus camera with dual LED flash, plus it has world phone capabilities. Other prepaid phone deals this week: (Except as noted all are available both online and in stores). Cricket free shipping and free activation on all phones (online only) Prices and availability are for Cricket native coverage areas. Prices are different and not all phones available in Cricket MVNO areas. NET10 (online only) Free shipping on all orders $19.99 and above. Free LG 300G bar or Samsung T201G flip phone with purchase of a $25 refill card. PlatinumTel (online only) Free shipping on all phones. Use coupon code PT100GIMME15 to get 15% off any phone + airtime purchase of $100 or more. Use coupon code PTGIMME10 to get 10% off any phone + airtime order. Radio Shack Shipping $6.99 unless otherwise indicated. Free ground shipping on orders over $50. Free Ship to Store. Straight Talk (online only) Free shipping on orders of $29.99 or more. Free LG220C or Motorola W418G flip phone with purchase of a $30 All You Need refill. 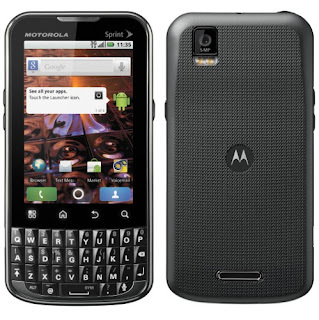 Free LG 620G slider or Motorola W418G flip phone with purchase of $60 International Unlimited refill. LG Optimus Black with free $20 gift card $329.99 through today 6/17 only! Free reconditioned LG 401G flip phone or DMFL Samsung T301G slider with purchase of a $19.99 60 Minute card. LG 500G double minutes for life QWERTY candy bar $19.99 (reg $29.99). plus it has world phone capabilities. The SIM slot is in the top left corner under the back cover.